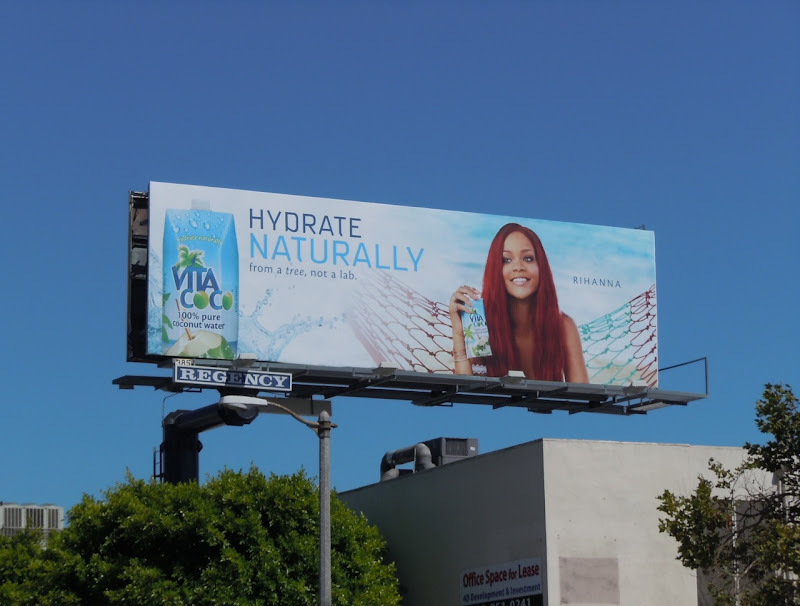 Fans of Rihanna will love the fact that the Barbados beauty can be found smiling down on the streets of L.A. this month. 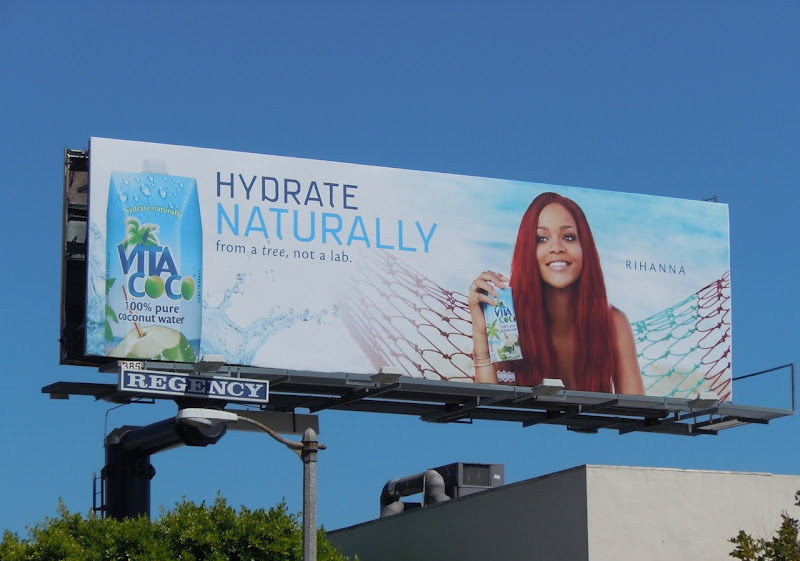 The singer has collaborated with Vita Coco for a new Tropical Fruit flavour of the coconut water drink, leveraging Rihanna's Caribbean heritage. The campaign is suitably tropical, with the R&B star looking much more natural and relaxed than some of her edgier onstage styles. 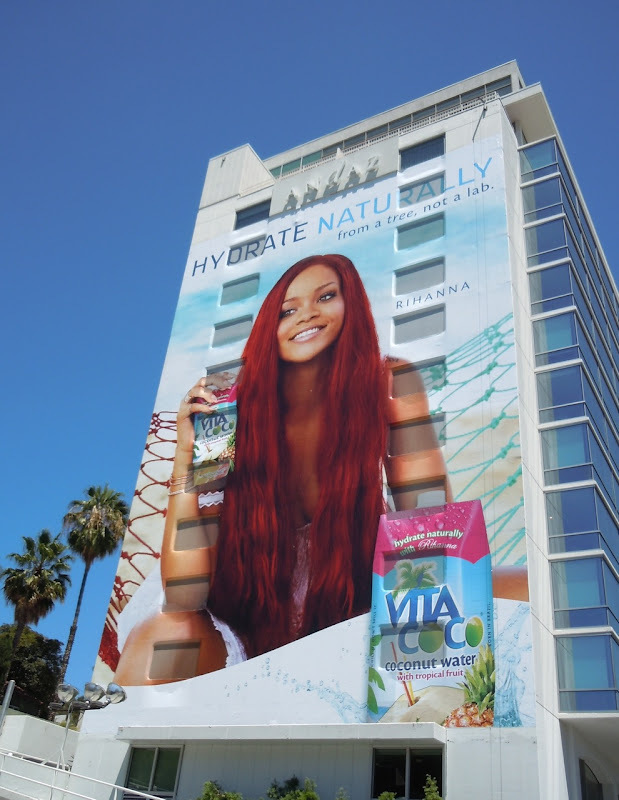 This super-sized billboard was snapped along Sunset Boulevard on the side of the Andaz Hotel, whilst the standard size version was captured along Beverly Boulevard on August 4, 2011. 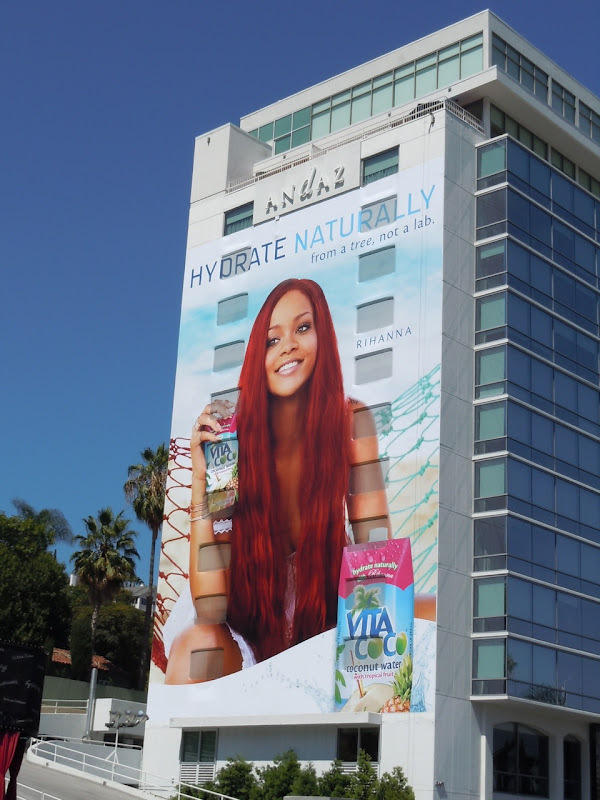 UPDATED: Daily Billboard isn't sure how much Vita Coco are paying her, but it must be bucket loads as Rihanna seems prepared to do anything for their advertising campaigns, including wearing this hideous pineapple outfit for this new 'Viva Vita!' billboard snapped in downtown Manhattan on August 28, 2012.